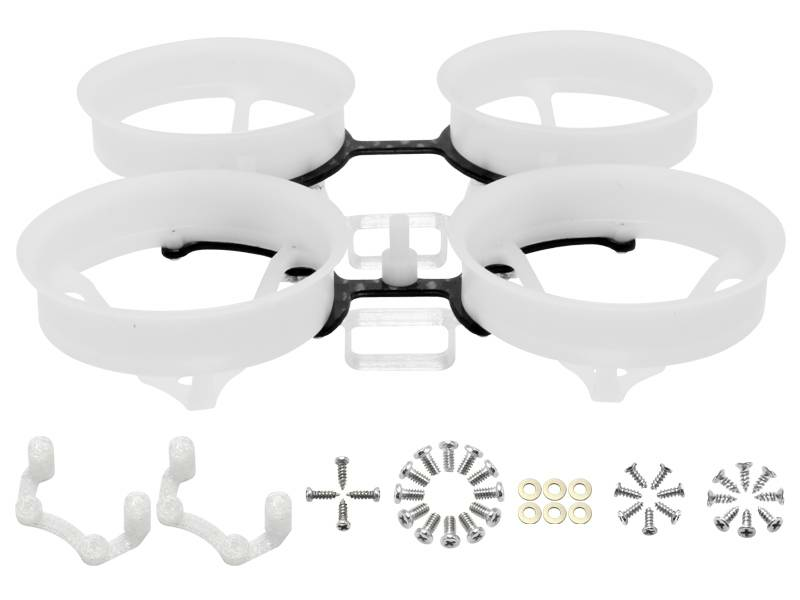 - Designed for Fans of the Blade Inductrix/FPV/Pro and Tiny Whoop want to build a Brushless Whoop Kit use with SunnySky 0705 Motors. - Material: Delrin, TPU, 3K Pure Carbon Fiber and Stainless Steel Screws. - Main Size: 66mm Frame, 31mm Propeller Duct, 1.0mm Thick Carbon Frame. - FC Size: 16x16mm Square. - ESC Size: 4in1 16x16mm Square. - Weight: 5.27(g) = 0.18(oz). 1 x Rakonheli 1S Delrin Carbon 66mm Brushless Whoop Kit (included hardware). 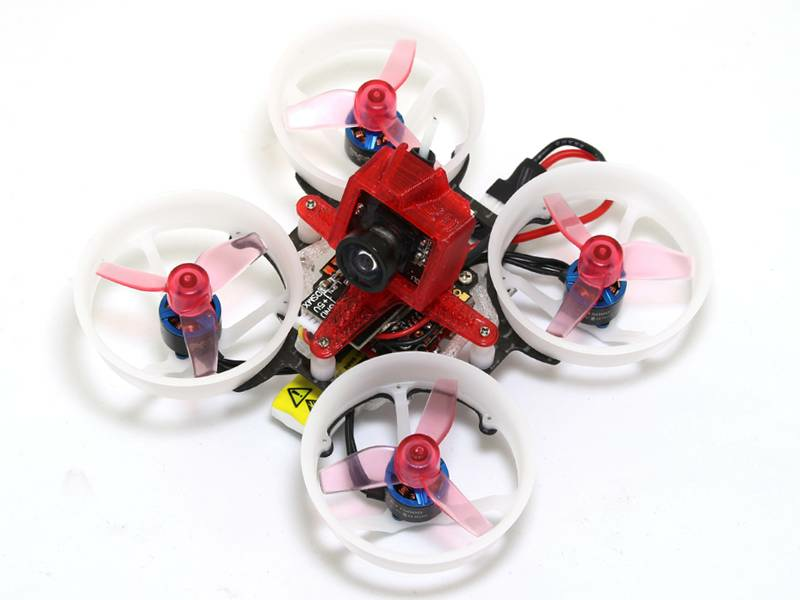 1 x FuriousFPV Racewhoop Smallest Brushless FC (SKU: FPV-0178-S). 1 x 8CH Micro Receiver with SBUS PPM Output Binding Button for FRSKY Transmitter. 1 x Fishpepper 5A BB2 48MHz DSHOT600 1-2S 4in1 ESC (SKU: FPV-0252-S). 4 x SunnySky 0705 Brushless Motor (1.0mm Shaft). 1 x FX805 FPV Camera 25mW or 5.8G 25mW VTX600TVL FPV Camera. 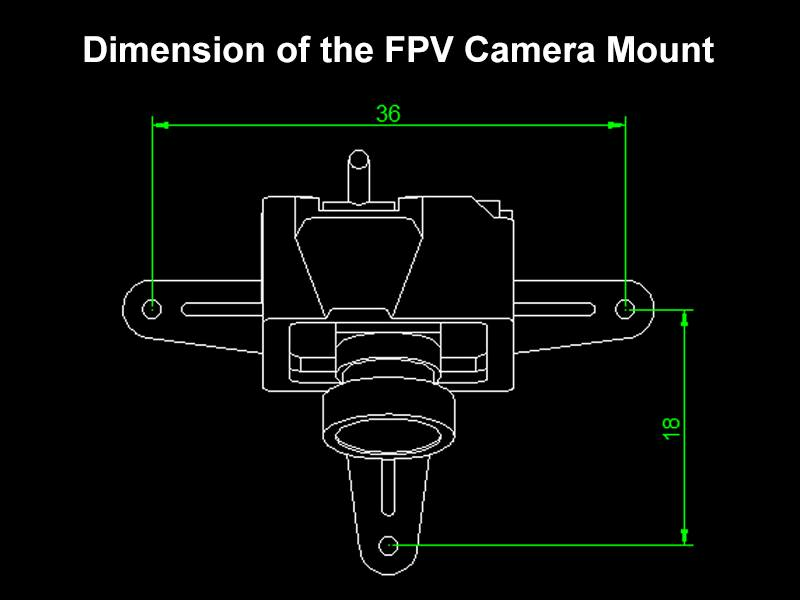 1 x FPV Camera Mount (SKU: 3DP001, 3DP013) or Canopy (SKU:C02-H). 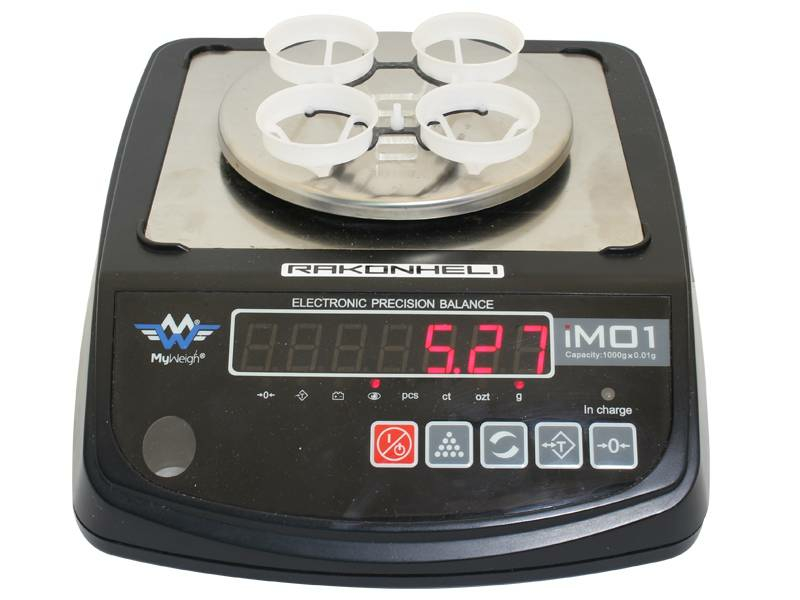 1 x Rakonheli 31mm 3 Blade Transparent Propeller (2CW+2CCW; 1.0mm Shaft) (SKU: 3PROP3110-T). 1 x Battery: 1S 205mAh or 1S HV 255mAh. 1 x 2.4G DSM2 DSMX Pro Receiver for JR SPEKTRUM Transmitter.